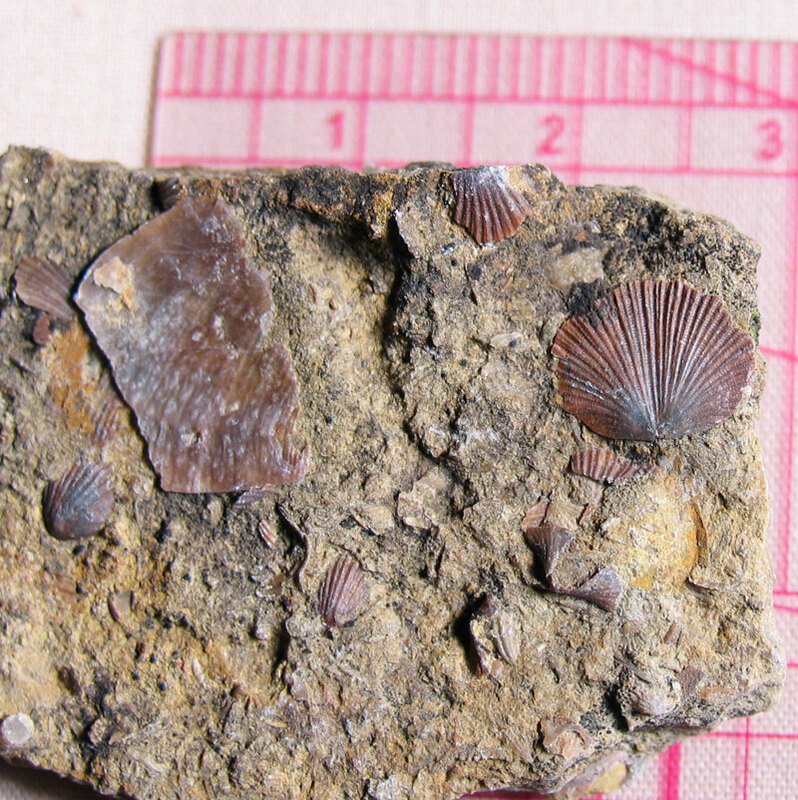 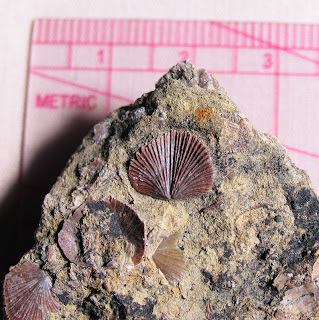 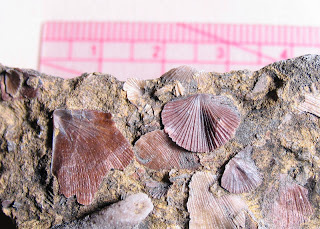 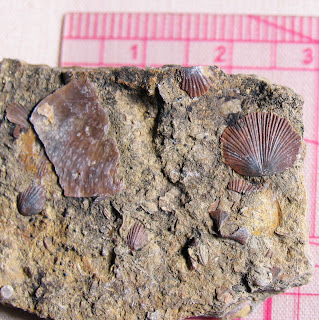 Dalmanella multisecta (formerly Onniella multisecta) brachiopod found in the Kope Formation of Carroll County, Kentucky. This brachiopod existed in the Ordovician Period. 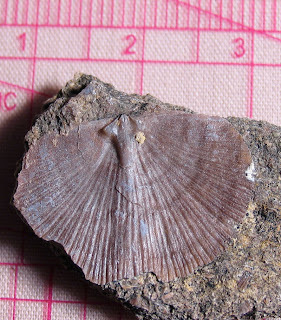 Learn more at the Dry Dredgers web site. 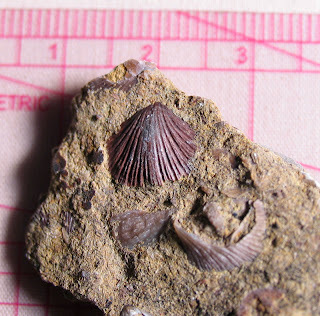 For some reason, these fossils are a maroon color.